Mid Blue Boys Plus Size, Sturdy Fit, Pull On drawstring Waist Jeans. 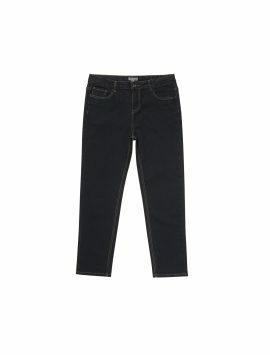 Nearly Black Boys Plus Size, Generous Fit, Adjustable Waist Western Jeans. 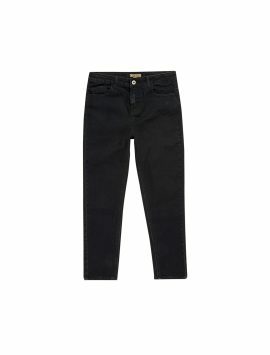 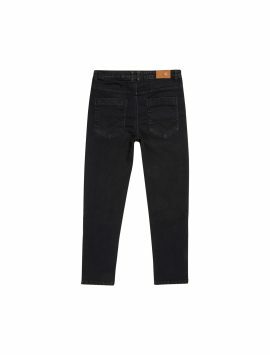 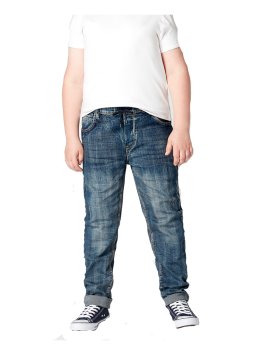 Give your sturdy kids flattering jeans for plus size boys. Your kids are as eager to wear stylish, trendy clothing as their friends; so why leave them frustrated? 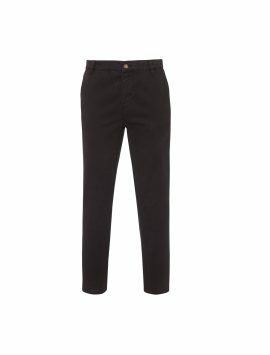 Our high quality, generous fitting casual trousers for boys are an excellent fit. Our adjustable waist plus jeans are available for boys aged 4-14 with body shapes and sizes that are larger-than-average. 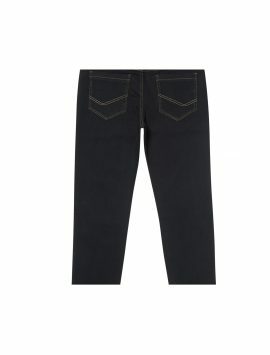 These generous fit jeans are designed bearing in mind the needs of larger size boys. Get your husky fit jeans, from more for kids, which will make them look as stylish as their friends and next time, they will not hesitate to join an event their peers are going to. Made of high quality stretch fabric, these larger fit jeans for boys incorporate the suggestions of many parents and children. 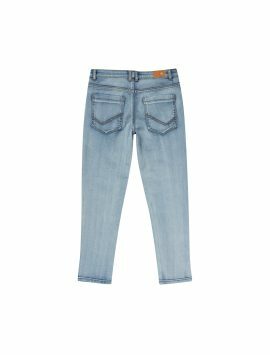 The designs reflect feedback and make the experience of wearing the jeans extremely comfortable and stylish for your kids. 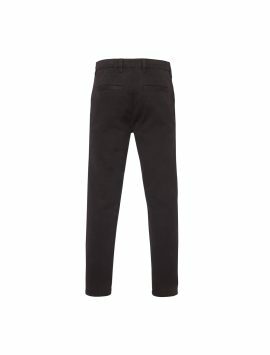 The wide range of colours ensure you have plenty of choice.